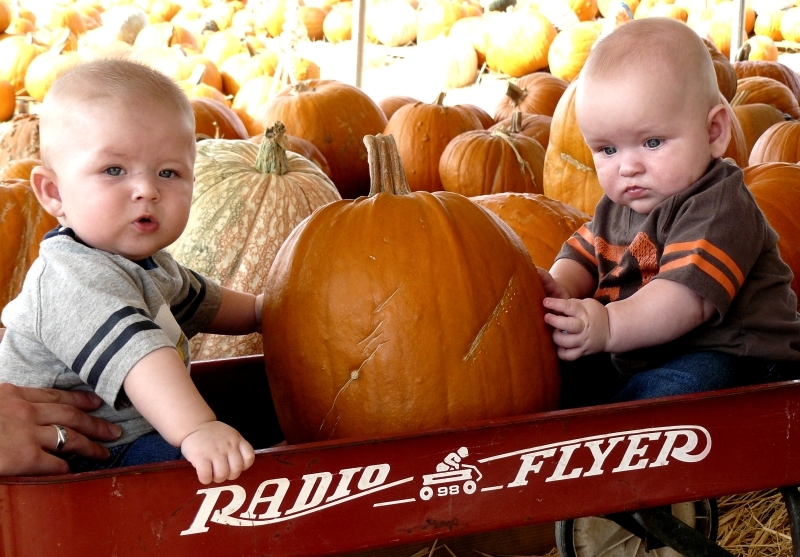 They boys are almost 7 months!!! I can't believe it! As of Monday Matthew weighed 21.6 lbs and Seth weighed 18 lbs even. They are laughing up a storm and keep me on my toes. Randy and Molly came down in the middle of October. I have to say sorry to both of them because a visit to our house now means you are going to have to hold babies and even be left with them occasionally. I hope they didn't mind too much! 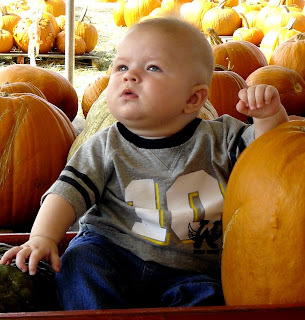 We took the pumpkins to a pumpkin stand to find some gourds. 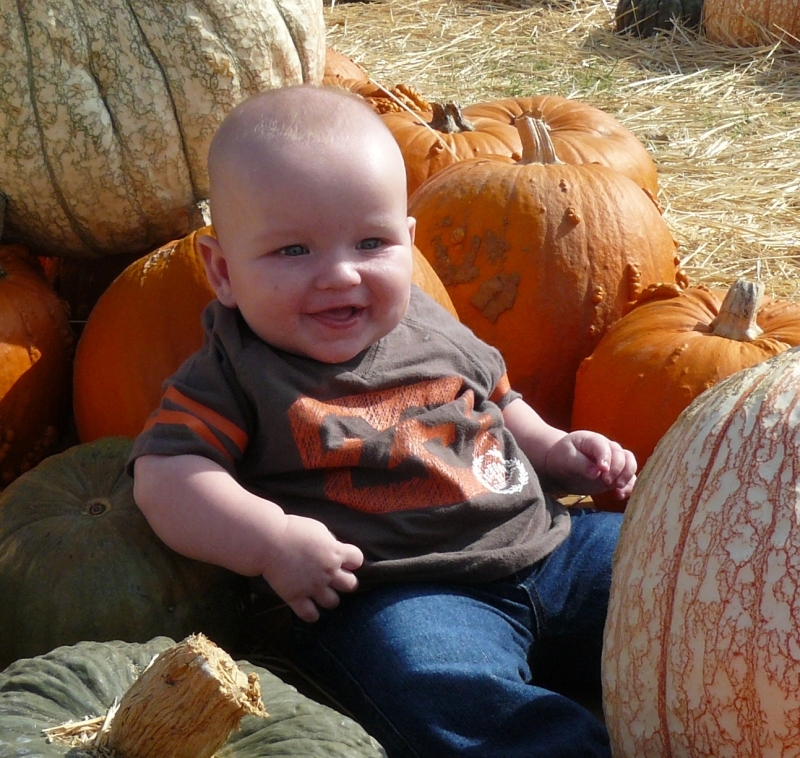 Out of the two, Matthew was the only one to enjoy himself. Seth only gave us stares. Super cute kids none the less. That's the smile that's hard to catch on camera! 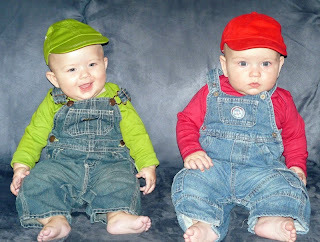 For months we had planned to have the boys be Mario and Luigi for Halloween. It was quickly realized that Matthew's legs do not fit most overall's his size, so we had to do some scrounging and hope he didn't grow too much before the holiday. Our Ward had a Trunk or Treat activity so we tried to make the trunk look sorta like Mario's World. Paul and I went as people playing Super Mario World (with Wii controls in hand). I would say it was a success. 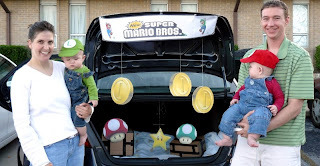 The boys did great, their costumes rocked, and once we got our car jump started the evening was complete. The Mario Brothers in the making...All we need now are some letters on their hats. Apparently Mario's M did not want to stay on! Now imagine the music to the game and tada! That's our trunk! One Halloween down many, many more to go! ERIN The costumes turned out sooo good! and no i did not mind staying with them alone a couple of times. It was fun! I love them! cant wait to see them again in December! Those sure are some cute kids! Though Sam thinks you forgot some mustaches for the costumes. I, however, am quite impressed with the final product of the trunk. You are right, that is too funny that we did the same thing for Halloween. 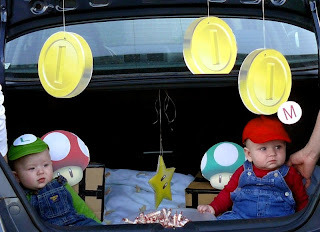 It's a little bit cuter having the two of them than us throwing Trent in as Luigi though. :) They have grown so quickly and are so darn cute. 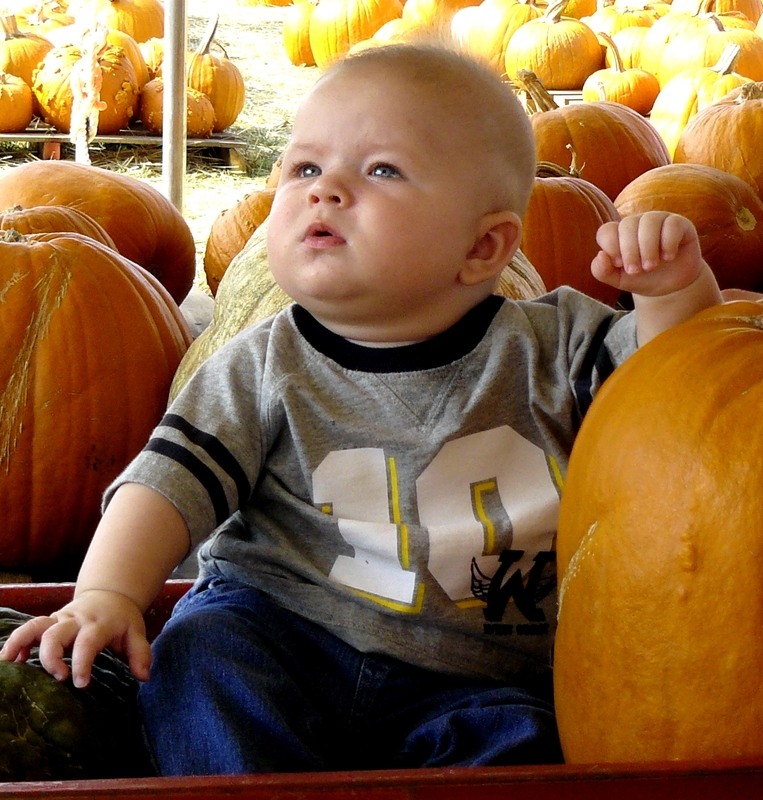 Happy Halloween/Thanksgiving! This is the most brilliant and darling thing I have ever seen! I love it!